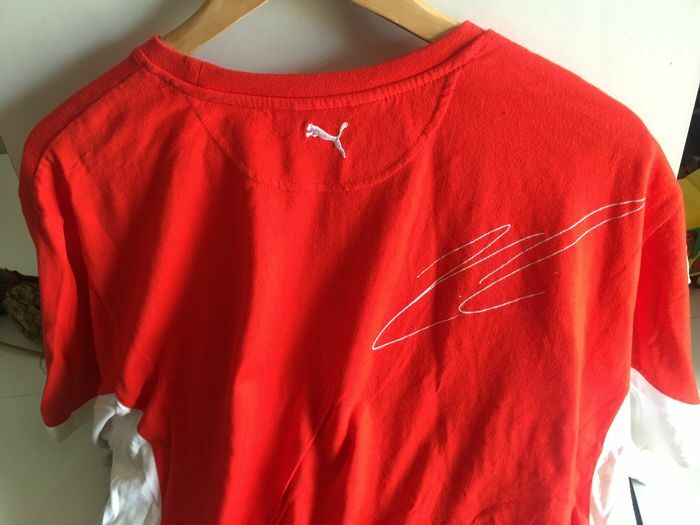 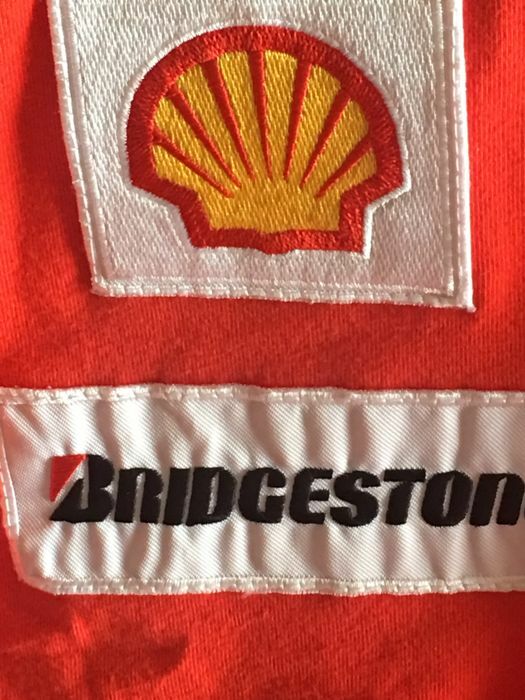 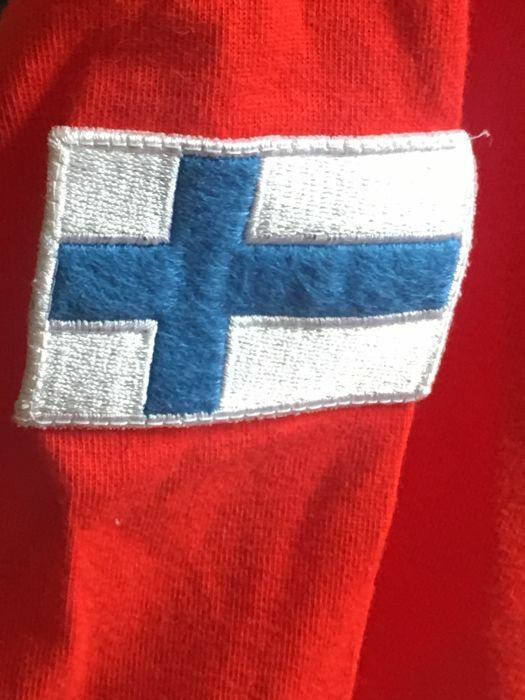 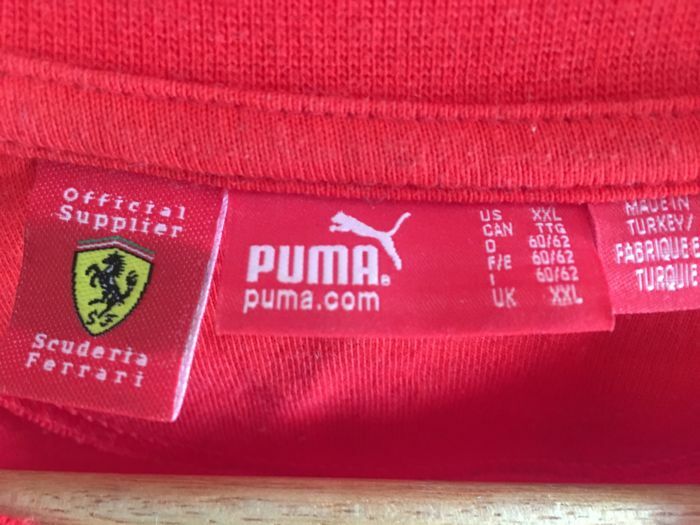 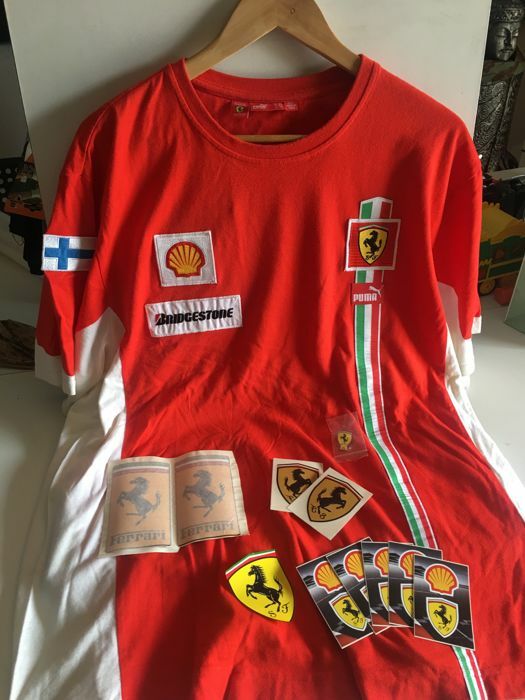 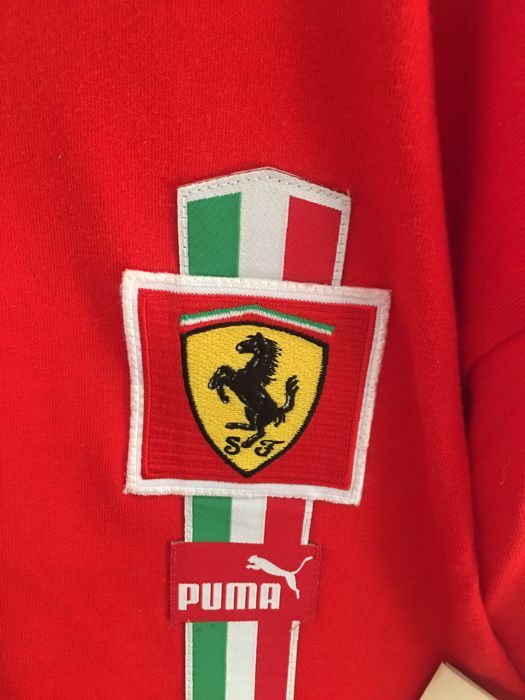 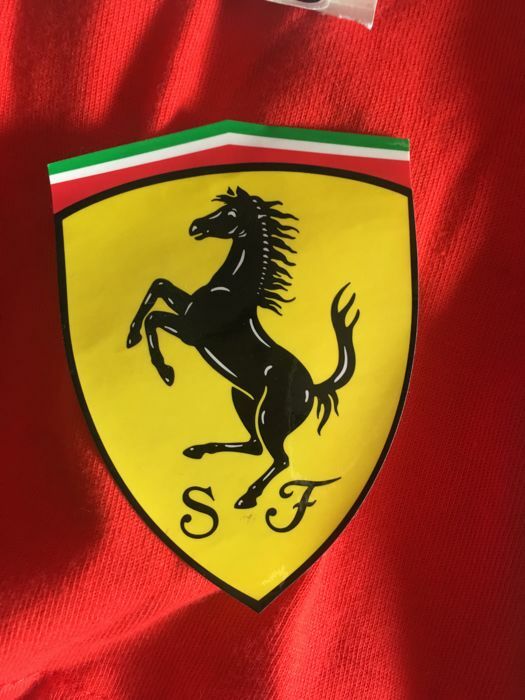 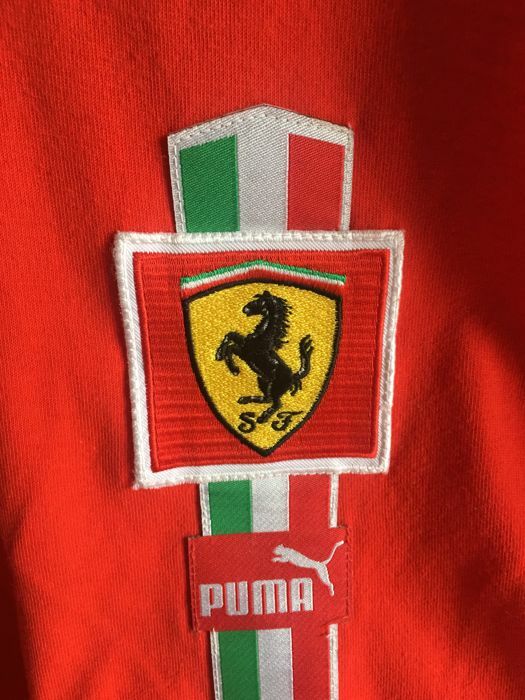 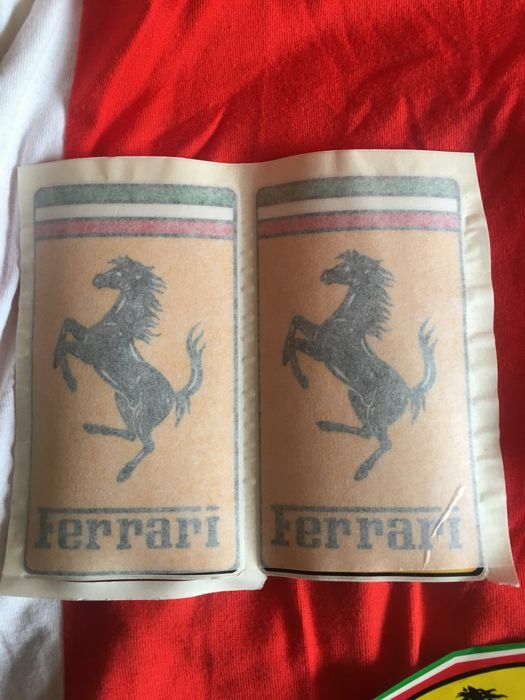 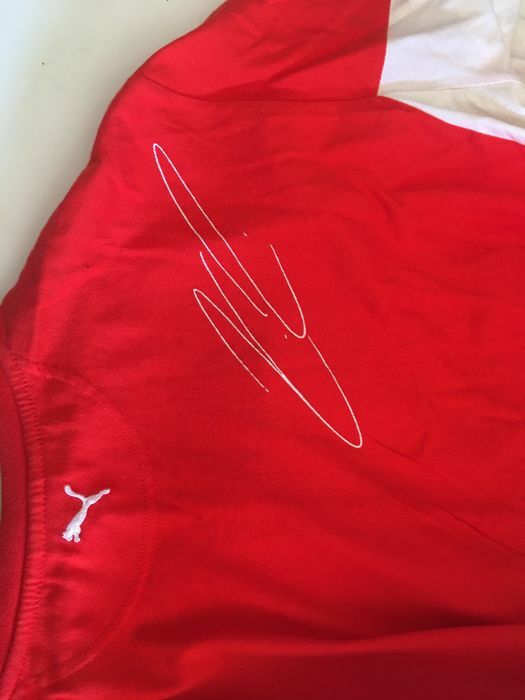 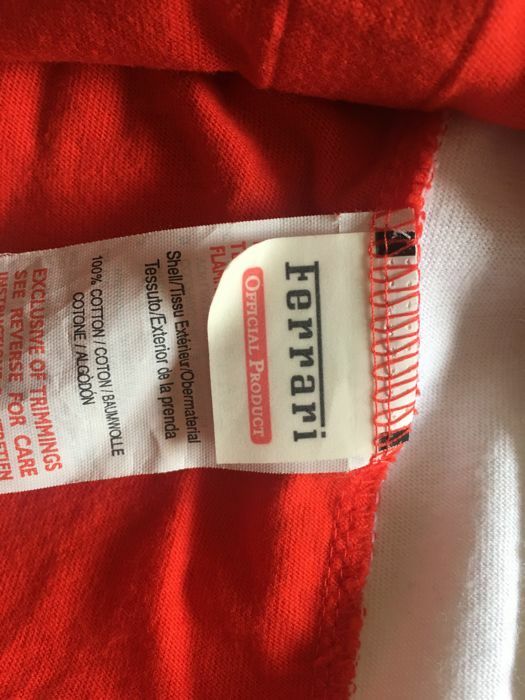 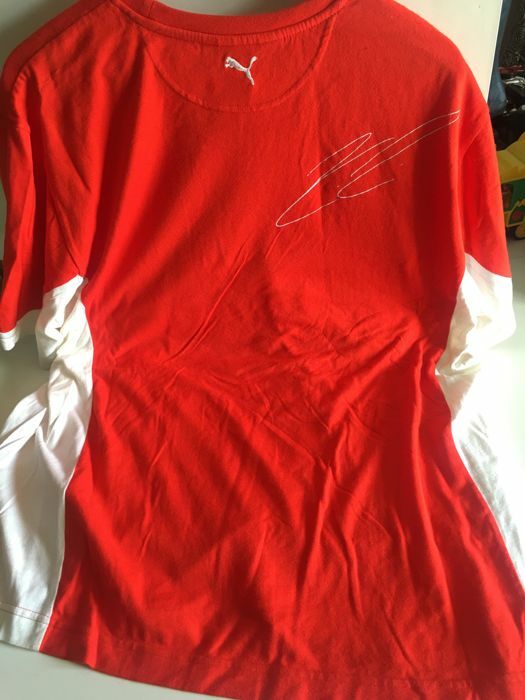 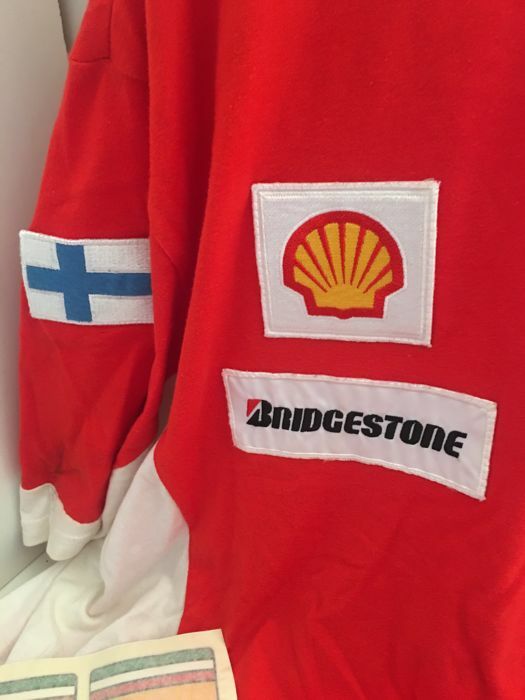 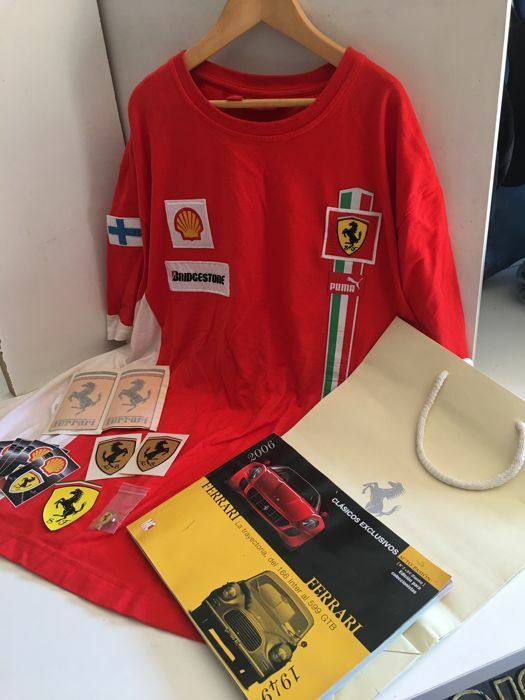 Shirt with Kimi Raikkonen signature on the back and with his flag, from year 2008, official Ferrari item and very hard to find. 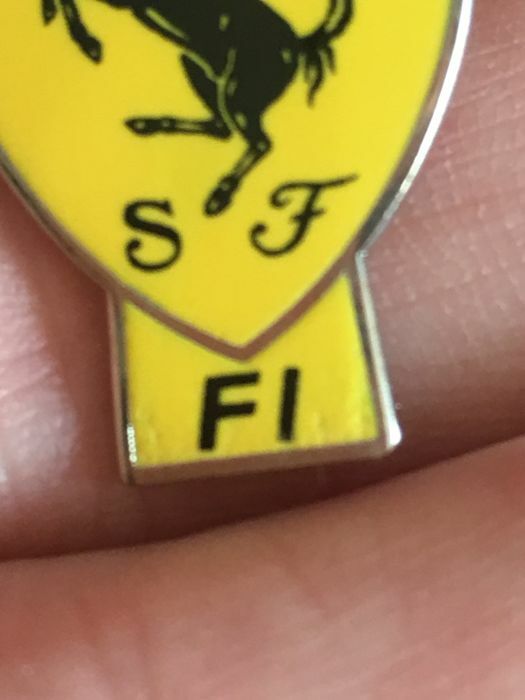 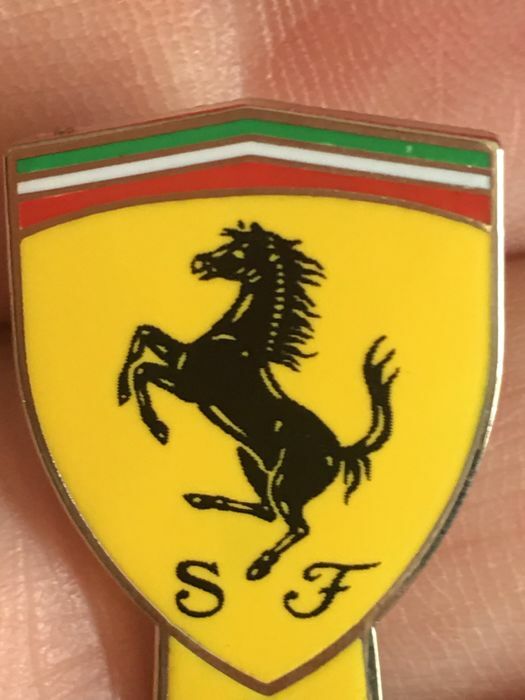 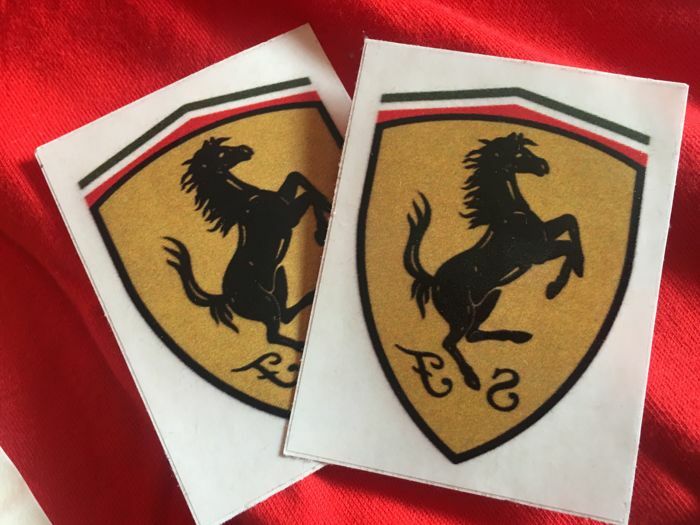 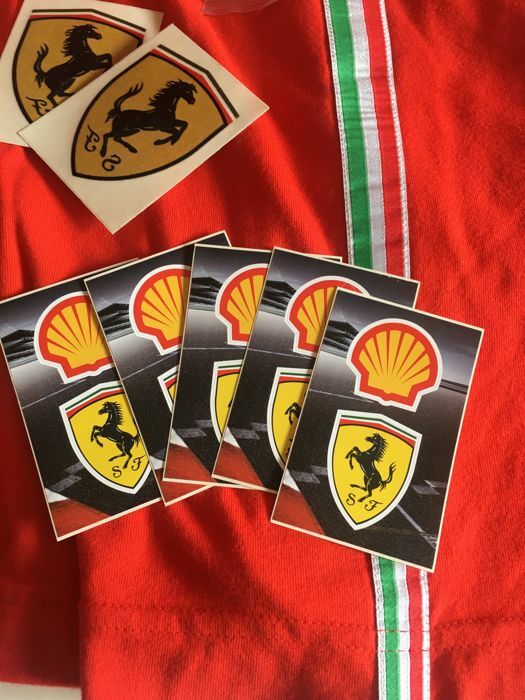 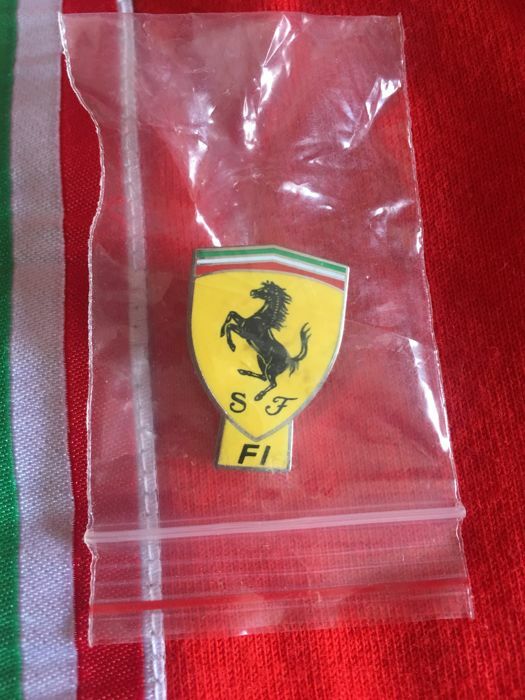 A FERRARI F1 pin, very rare in the market, perfect for brand collectors. 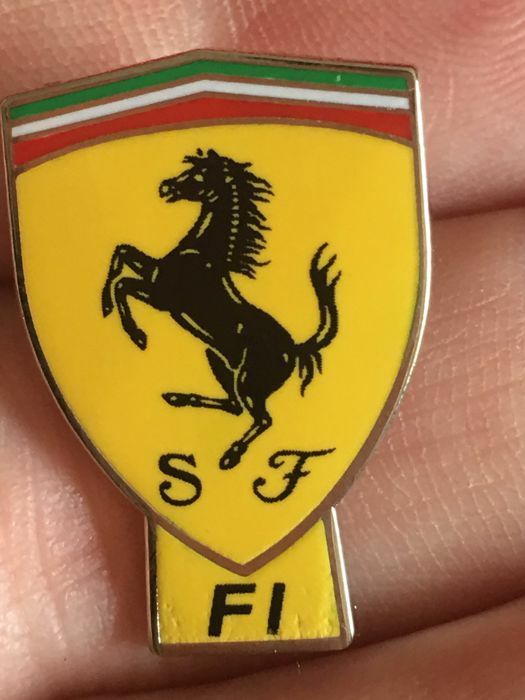 Lacquered. 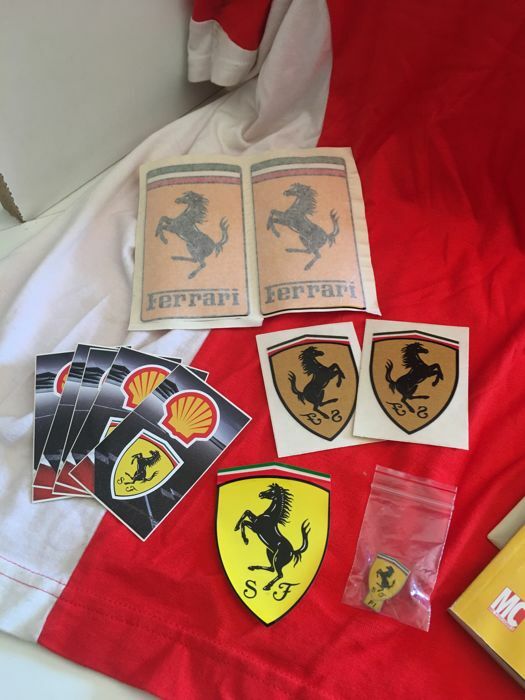 Plus a set of stickers in different sizes, inside glass...and outside glass. 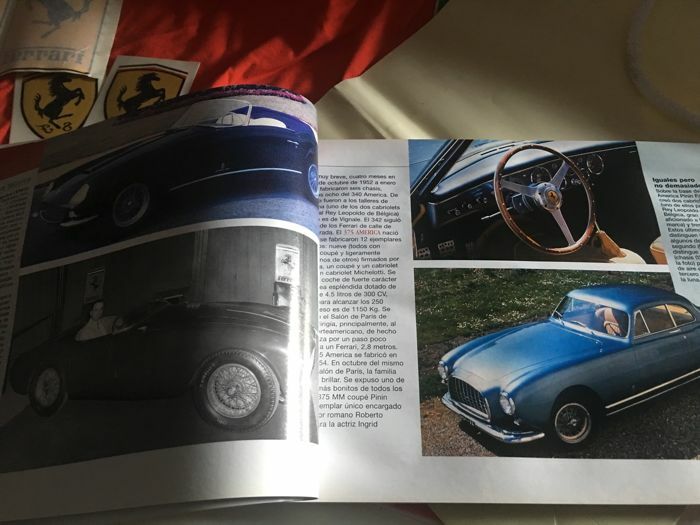 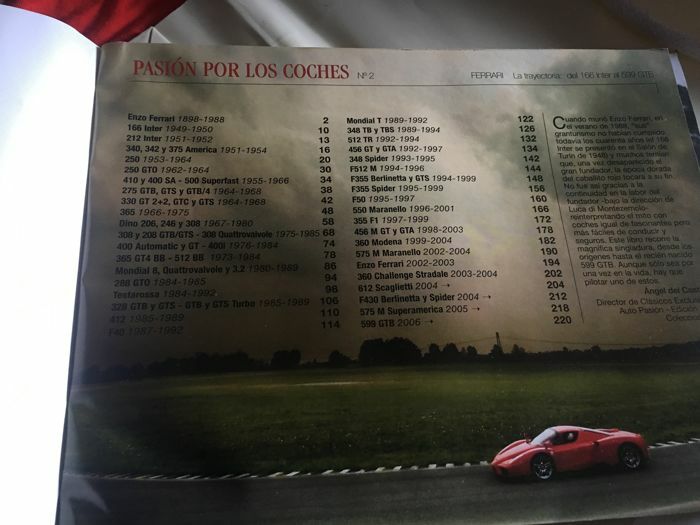 Interesting Ferrari booklet with all the models from 1949 to 2006, with pictures, specifications of each model. 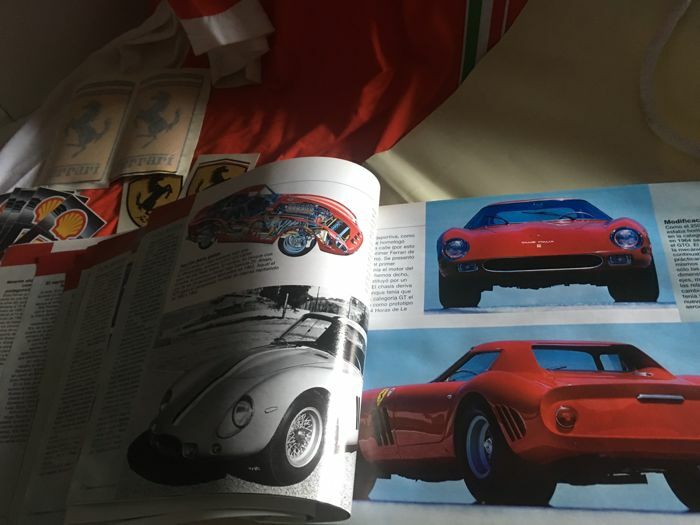 A very special piece which is a hard to find collector’s edition.